Primary 1 had a great morning litter picking with David Hutcheson and Neil McKinlay, from the “Clean Ferry” group. They were very enthusiastic about the experience and quick to pick up any and all litter. We even managed to enjoy some of the beautiful scenery. We collected over ten bags of litter. A huge thank you to Neil and David, and our parent and grandparent helpers. The Eco team had a real treat this March when representatives from the “Cleanferry” group came and gave us a presentation on litter, we saw images of our local environment, some of which had a lot of litter, and we also saw the impact of litter on animals and people. We were very impressed with the hard work that the volunteers put in to keep our community tidy. To show our support for their work the P1 class will be joining the “Cleanferry” group to litter pick in the ferry glen on three occasions before the summer. We can’t wait to put our litter picking skills to good use in the wider community. Well done Primary 1!! They walked and ran a mile a day for nearly every school day in February, only missing our one day due to extremely heavy rain. P1 particularly enjoyed their walks in the Ferry Glen. Altogether they walked and ran over 14 miles. Well done to all the children and adults who took part. In order to promote a healthy life style in our school we have challenged each class to walk/ run a mile a day for one month. Through discussion with the P1 and P6/7 classes, we have decided that a good way for us to help decrease the amount of litter in our school playground is to conduct a monthly litter pick. We will use the school littler pickers to safely tidy the litter away, and our P6/7 buddies can help us with counting the litter. We will display the amount of litter picked in both the junior and senior playgrounds on our Eco display board. 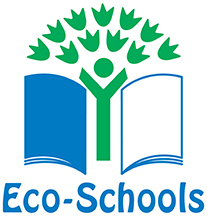 Eco-Schools is the largest sustainable schools programme in the world and is operated internationally by the Foundation for Environmental Education (FEE). It connects 15 million children, young people and educators through sustainable development education and is the biggest learning network in the world. 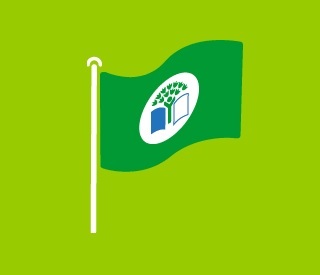 Eco-Schools is an international initiative designed to encourage whole-school community action on Learning for Sustainability. It is an environmental management tool, a learning resource and a recognised award scheme which empowers children and young people to take action towards an economically, socially and environmentally just world. The initiative provides a framework for learning and action which affords a wealth of opportunities for linking sustainable development education, global citizenship and outdoor learning. Eco-Schools weaves these elements together through the everyday curricular work undertaken by schools and encourages closer links between schools and the communities around them. In St Margaret’s Primary our children meet regularly to discuss, plan, implement and review opportunities to help educate our community and proactively make a difference to our environment. Promote knowledge of how we can be more Eco friendly. Organise another litter pick event. Begin Eco monitoring of waste, paper recycling and energy saving. St. Margaret’s Eco Committee are part of Citizen Science!! “Citizen Science”, is a term used to describe the use of communities and citizens to gather large amounts of scientific data for a single project. People volunteer to make observations that are then compiled into one large data set. Our “Citizen Science” project is run in collaboration with the British Trust for Ornithology (BTO), and will help them investigate the impacts that climate change is having on birds across the UK. We will upload our data so that our work contributes to a nation-wide survey for the BTO, and we will also be credited in the findings. Taking part is a great way for us to learn more about our play ground environment, find out more about the animals living in our school’s habitats and develop real science skills. We will be uploading our data and we will be a part of a real – and important – scientific project. It will run throughout the 2015/2016 school year. Our Eco Committee are looking forward to getting their hands dirty examining soil samples, counting grubs, and surveying birds.